Viking Tutors is now a member of the MyGuru family. It's easy to find tutors. It's hard to find reliable, highly qualified tutors at the right price and with the best customer service. That's where Viking Tutors steps in. Viking Tutors offers the best private tutors in the Minneapolis and St. Paul areas, many of which are PhD students who will pass their love of learning on to your student. Founded in Chicago on Northwestern University's campus in 2009, we began offering tutoring in Minnesota in 2011. In 2015, MyGuru purchased Viking Tutors. 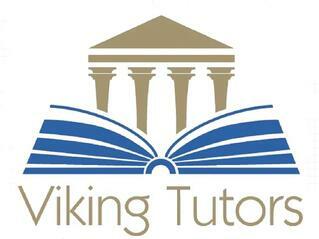 We are in the process of rebranding our Minneapolis presence to Viking Tutors, a MyGuru company. We serve the entire Minneapolis-St.Paul Metropolitan area, so whether you're a high school parent looking to get help for your struggling freshman or a graduate student at the University of Minnesota preparing for an important final exam, we look forward to hearing from you. We have a small, elite team of tutors ready to help you in the Minneapolis area. Bachelors Degree in History & Social Studies Education from St. Olaf College, Northfield, MN. Earned both a M.Ed & Ph. D in Curriculum and Instruction, Social Studies from University of Minnesota. Has previously taught GRE prep classes and worked with high school students on college entrance exams (ACT/SAT). You can also browse an expanded list of tutors on the Viking Tutors team. Check out our "Test Prep" and "Academic Tutoring" tabs above for more information, or call or email us at your convenience. MyGuru Minneapolis tutors always meet you at a mutually agreed upon location, such as a cafe, your home or a library. Why? We do this to save overhead costs, which saves you both time and money. Our tutors are happy to travel anywhere in the metro area at no additional cost. Again, these are administrative offices only. Almost all tutoring takes place in public locations, students' homes, or online. We pride ourselves on offering the best value in the business. For Minnesota specifically, we charge between $45 and $125 per hour, depending on the subject and tutor. Why pay more? We charge you for the tutor's time, not for a bunch of overhead costs. Check out our Pricing tab for more information.